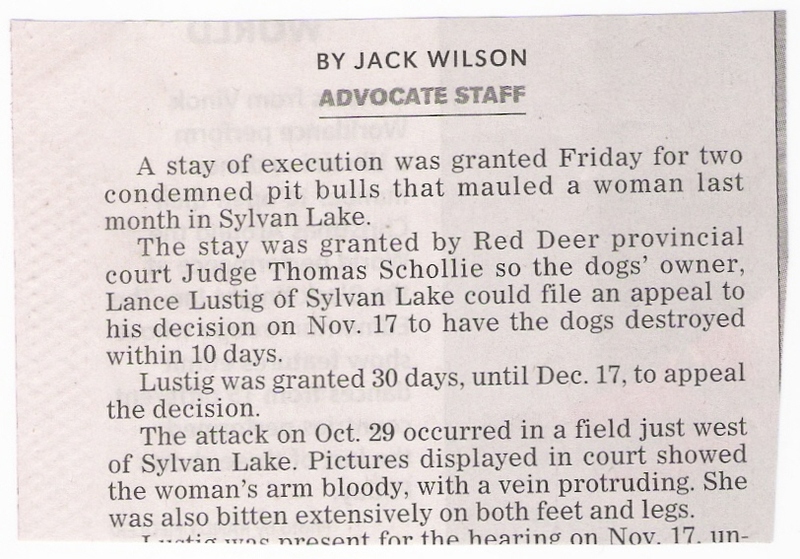 Red Deer Advocate, October 8th, 2011 and November 26th, 2011. 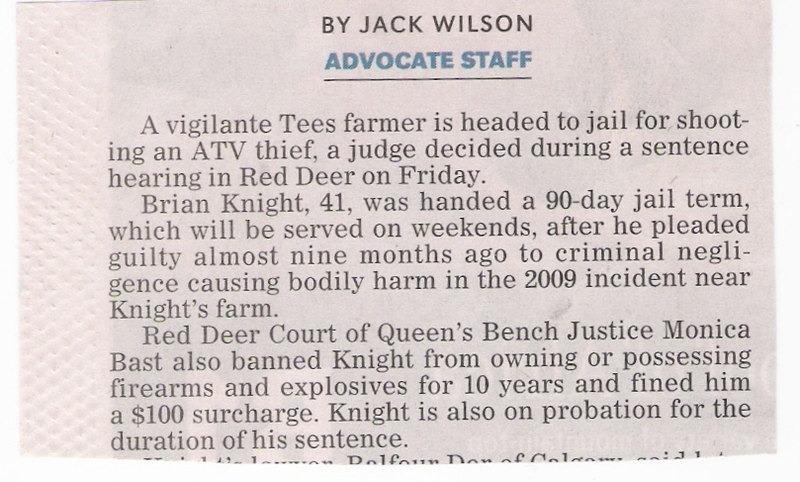 These two clippings considered together will give us a fair sense of what passes for justice in backward Canada. First clip: A man gets 60 days more jail time than the thief he defended his property against. 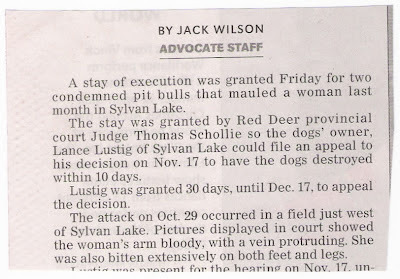 Second clip: A stay of execution is granted to a couple of mangy, mauling dogs. 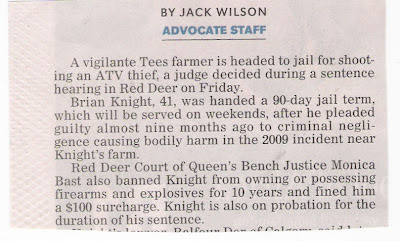 So in Canada, justice goes like so: Punish the hero who defended his right to his own property; but protect the dangerous beasts who attacked the defenseless. Punish the righteous; protect the dangerous. Punish upstanding citizens; protect rampaging dogs. We should use our immigration policy to some good purpose: exchange a few of our Canadian judges for ones from Texas or Singapore. That way, we would get some real justice over here, while our backward judges could receive some on-the-job training over there to learn what real justice looks like and how to execute it. If we were to steer our judicial system just a little in the direction of our good, old, neglected Bible, the thief caught stealing would have to make restitution; that is, if the owner didn’t righteously kill him first (Exodus 22.) And as for the dogs, they would be put down without argument and delay, and their owners would be made to pay for all the injuries and trauma their dogs caused to the victims (Exodus 21.) And if dogs, like oxen of old, be not hemmed in, and end up killing someone, then the owner should pay with his life (Exodus 21.29.) A society must protect innocent lives. Otherwise it is unjust. A society requires a robust law so that you can go for a safe walk. Otherwise its freedom is impaired. When justice is not enforced, freedom is cut back. Some people balk and squawk at the mention of the Bible for a guideline on justice, as if it implies that those appealing to the Bible must want to enact all the civil laws (like stoning for adultery) that the LORD gave to the Israelites. That’s the common accusation. But it is far better to pick and choose among laws from God’s holy book than to rely on the ideas that come from our philosophers and out of our universities! 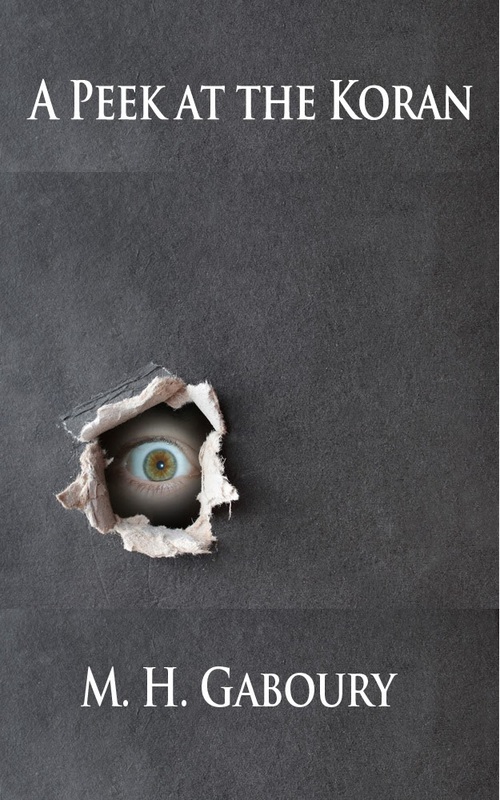 It is better to live in a society where the law is rigid enough that you are on edge just a bit, than to live in one where a man can just come and take what’s yours. There is an outcry for justice from the public concerning both of these unjust rulings. There is a natural law in the spirit of man, and it leans toward common sense justice and restitution (Romans 2.14, 15.) For example, in the case of Mr. Knight, who shared some honest buckshot with his thief, “many people believe what he did was right and totally justified,” says his lawyer. Moreover, “people from across the country contributed several thousand dollars to Knight’s defence fund.” Intuitively, the people know what’s right and wrong, at least when it comes down to a basic issue like stealing. Without realizing it, segments of the public agree in principle with biblical justice. Judges are not so reasonable and moral. It is only after a bad dose of liberal schooling that persons, like judges, lose their common sense radar and then get these seared spirits that no longer care to make righteous rulings. The judges named in these clippings, and who ‘wrested judgment,’ must be known by someone. They have to live somewhere. If you know one of them, or a judge like them, one who ‘wrests judgment,’ express your disapproval when you see him or her about town. Or maybe write a public letter expressing your disagreement. But be very gentle and law-abiding when you speak, or else judgment may be wrested upon you! Do not forget to be civil, meek, and soft-spoken with spineless, backward judges. Judges like these are very quick on the draw when their space is invaded. Judges like these are paranoid with fear for all the wrongs they have done. Judges like these will suffer criminals gladly; but law-abiding citizens who challenge them with a word of correction they will suffer not at all. Be sweet-tempered and wise in all your dealings with unjust, pampered people who occupy positions of power. But still, be firm; it is still possible to be firm if you are careful and discreet with your words.